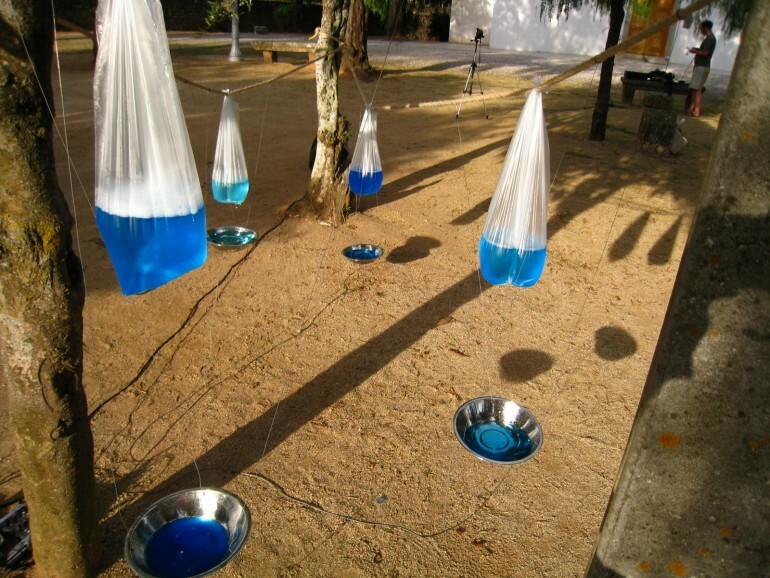 Dyed water of various volumes held in plastic bags and connected via string. Customised contact mics, placed under the metal pans and in various bags, allowing for the string to vibrate, when plucked, which amplifies the dripping water as it randomly and rhythmically falls into each metal container. Last until the water falls.